This week I feel I finally made it as an artist. The turning point? One of my quilts has inspired a poem. Cool huh? 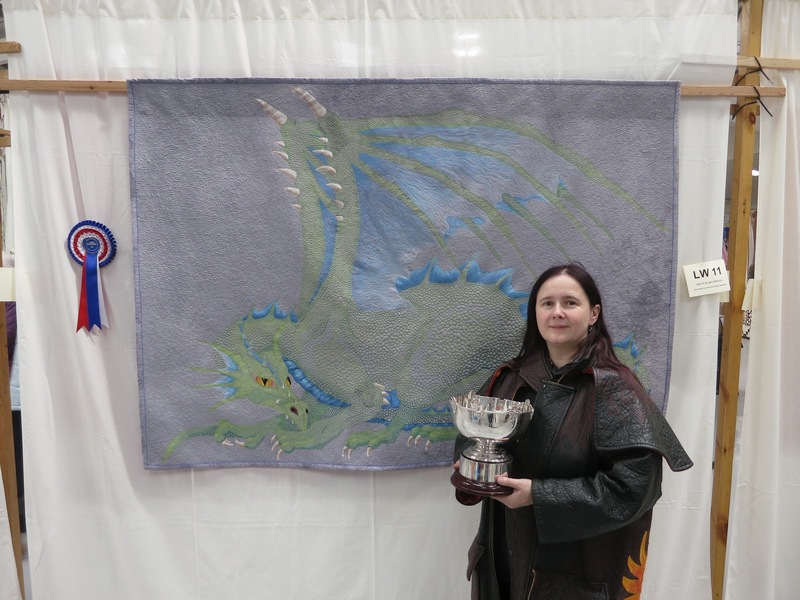 If you would like to read Dragon 1, the poem you can find it here. It was written by Miles Deacon, who went to university with me. He is another scientist who has slightly changed direction. maybe he will claim poetry is an engineering skill too :) I can't tell you how chuffed I am with it. I promised one of my students I would share the kit I have assembled for making my version of the summer school project. 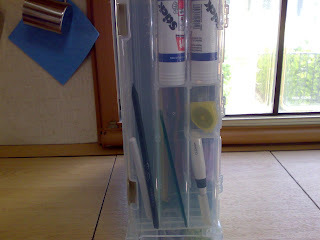 I will share drawing materials at another time this is just what I use for the sewing part. I am particularly pleased with the box everything goes in. I had been carrying the fabrics in a plastic bag which was fine until I wanted to carry a big pair of scissors. They quickly started making holes in the bag so I had to find another option. 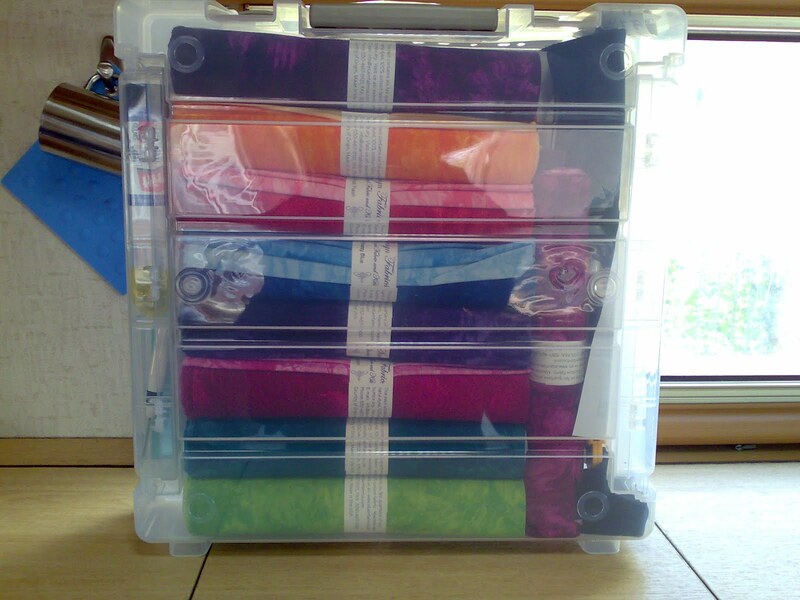 This case has a large central section where I can store my fabrics, scissors and rotary cutter. The lid lets me keep my foundations flat in a separate section. On each side of the case are small boxes with dividers perfect for the small tools. 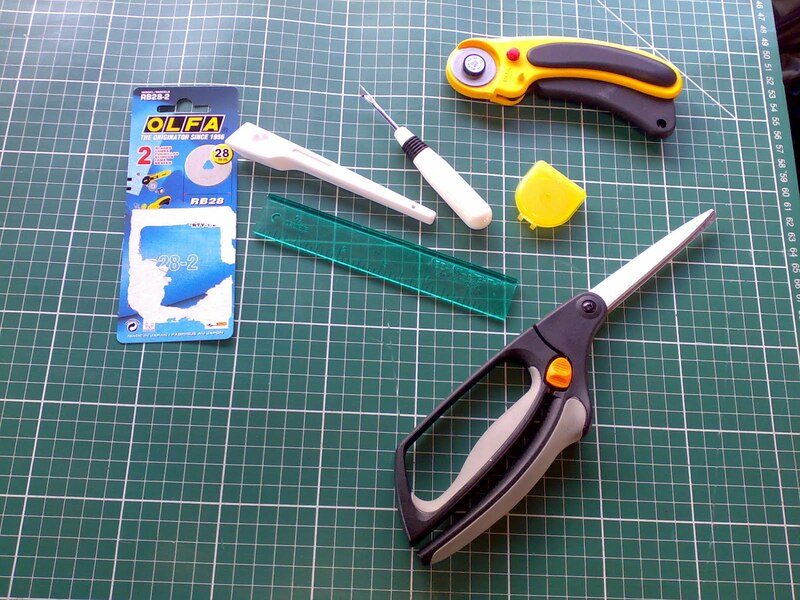 The tools I am using are fairly common, but I have gone for a smaller rotary cutter and an add an eigth ruler rather than their bigger brothers. 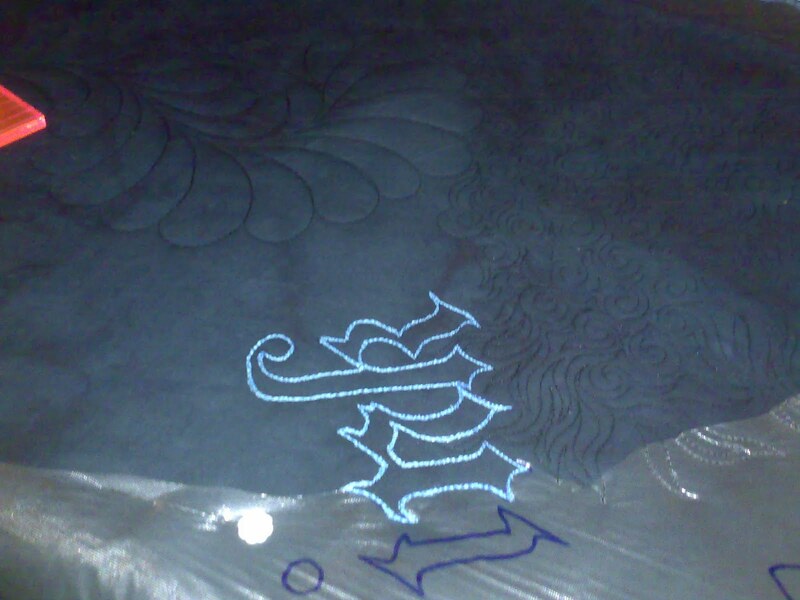 The foundation I am doing this time is very intricate and I really don't have room for a bigger seam. 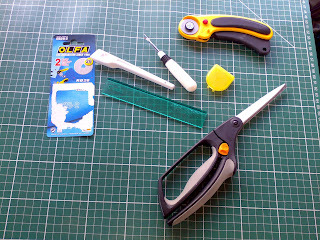 When I bought the cutter I also bought spare blades. 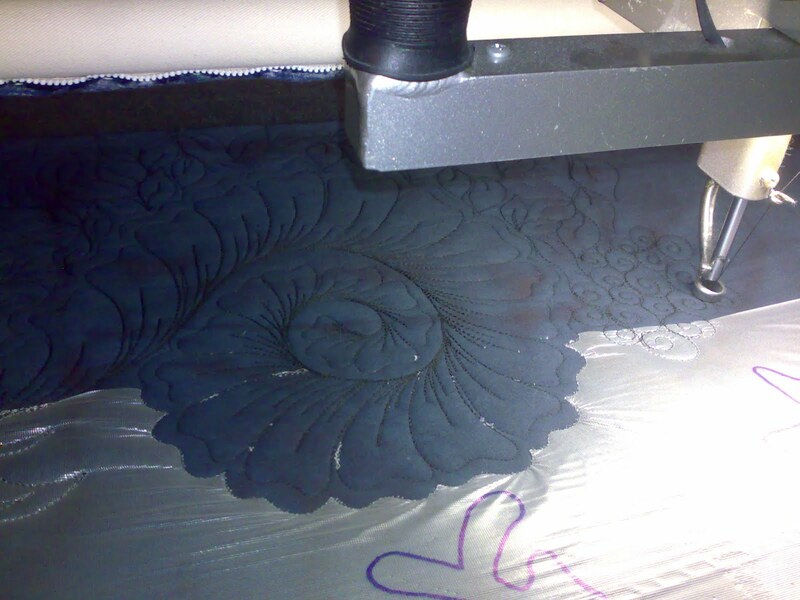 I will be cutting a lot of layers and I suspect the blades won't last long. This also gave me the perfect size piece of cardboard to fold my foundations. Partly because I have been working on thjis in the van I was finger pressing. When I had the choice I realise I was getting a better result than with an iron and it saves on the walking as well. The only downside was the sore finger, so a finger iron got added to the set. The plastic clover ones work great even if they don't look as nice as the wooden ones. Along with a sewing machine and a cutting mat this is pretty much it. For a weeks worth of supplies I think this is pretty neat. Oh gosh I forgot the most important thing there, my new clover seam ripper. Lets face it, there will be ripping to do and it is do much nicer to do it with a sharp ripper. I love the clover ones because they have a big comfortable handle. As a tutor I really do get to do a lot of unpicking and this stops my hands hurting after a busy day. Well, ok more not pink but you know what I mean. I was asked about the letters today. This quilt was designed on computer using a large nmber of different fonts. I then printed the design full size and traced it onto wash away stabiliser which is mounted on top of the quilt sandwich. There is no way I could quilt this many letters without marking. In fact I am willing to bet I would spell it wrong without the markings. 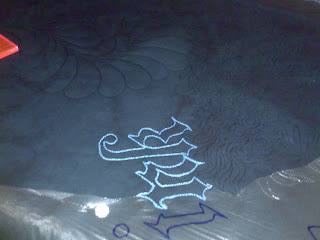 The black quilting is freehand and unmarked. It's mostly unplanned to be honest I really am playing on this quilt. I guess that it can go to other shows. I had been thinking of it as a one show almost throwawy quilt, so maybe it will visit a show near you. I will certainly check the size requirements of the World Quilt show before I trim and bind it. Having been teaching today I didn't have much time to quilt. I did manage to get 2 hours in though which means I am now nearly halfway. As I've just finished dinner I might even get another couple of hours in before bed. I'll post the pictures of my summer school kit tomorrow ladies. 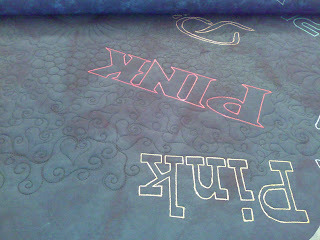 Here are a couple more pictures of the quilt in progress. As you can probably see the black background quilting is very varied. I'm generally just quilting whatever I feel like at the time. 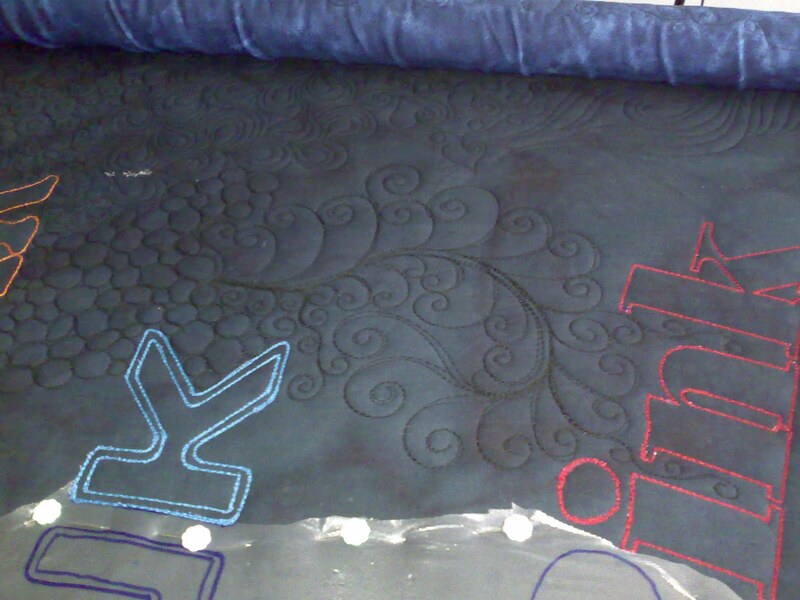 The backgound quilting just needs to hold everything outside of the text down flat, so really anything goes. The density is changing a bit as I fill in the different spaces so when it's finished I think there will be some motifs that stand out from the rest of the background quilting. Then as you get closer more designs will appear in the background of those motifs. Of course I won't know if it works until it's hung at the show. As promised a couple more pictures of the quilt on the frame. 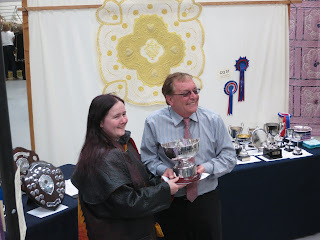 This is my entry for the charity category at the National Quilt Championships. I can't say the theme is my thing, "In the Pink" and I really don't like pink, but it's for charity and it's at a show I love. I came up with a idea that I have named "No effing p**k". 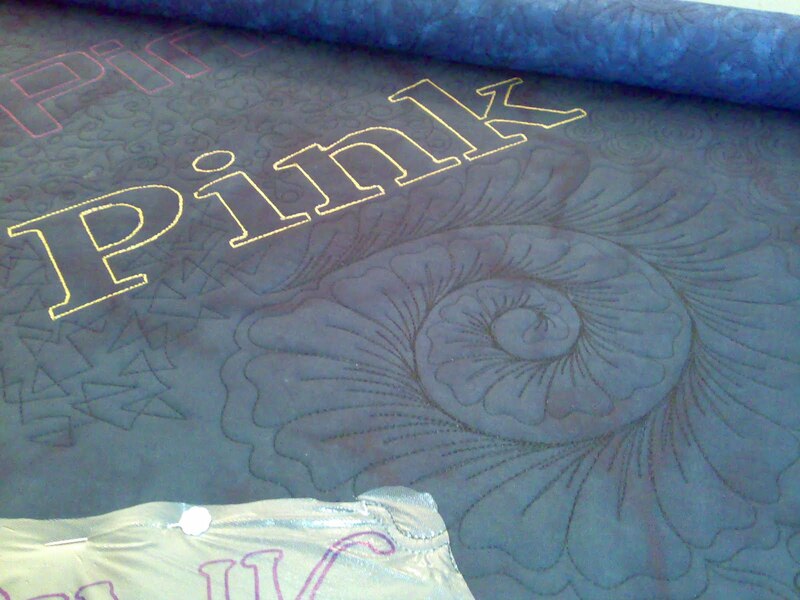 There won't be any pink on the quilt at all. In fact it will mostly be black, but that isn't a surprise. I don't expect this quilt to be sucessful at shows, but I do think it will make a great teaching tool. 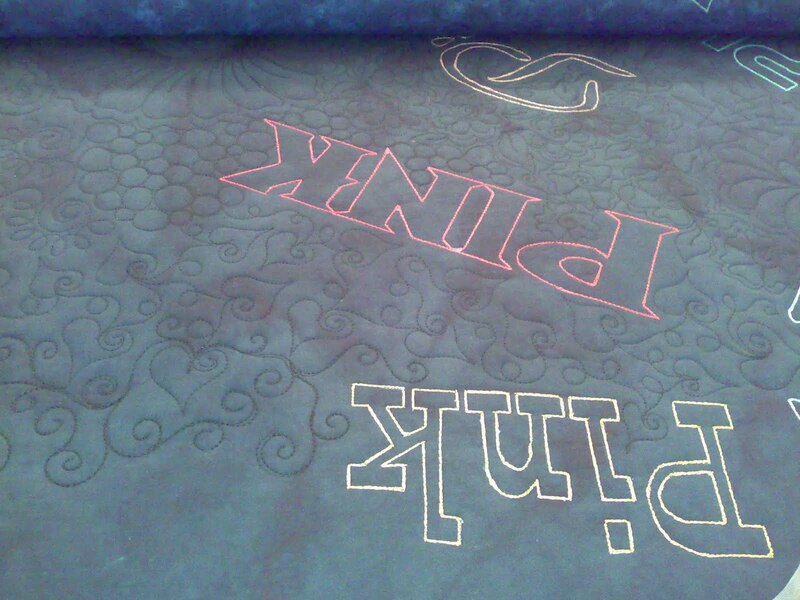 It will have a lot of threads and patterns on it. So it will come with me to classes. 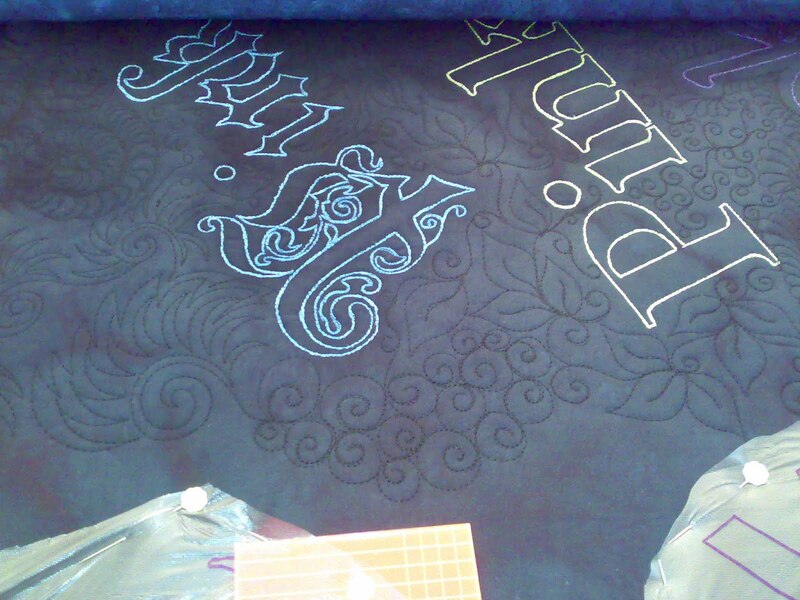 I am also hoping to use it as pattern samples for longarming customers, so it should pay for itself over time. Right now I am having a lot of fun. I am trying new things and hopefully learning from this quilt myself. Yay, people came. Not as many as we had expected but still, students. I hope you will be impressed with what was achieved too. 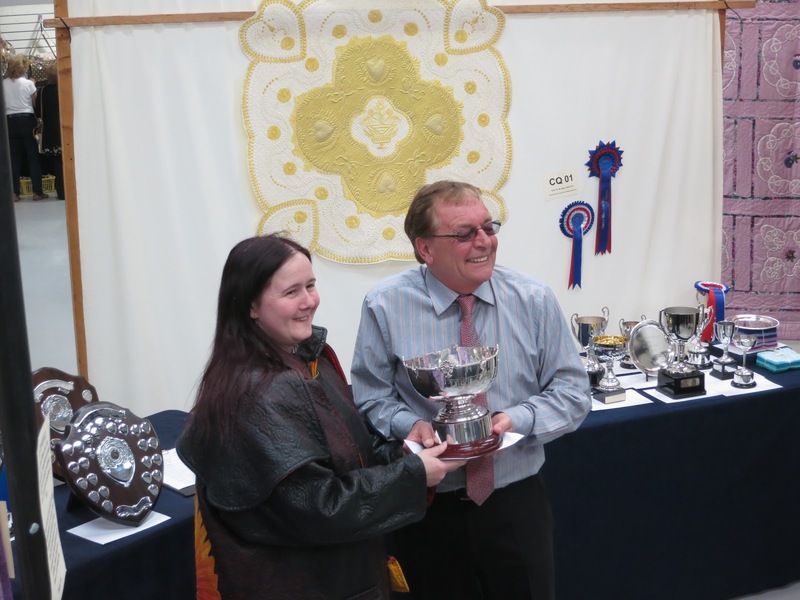 We had a bit of a slow start, what with getting into the hall and sorting out everyones equipment, however oce they got going they really got to work. 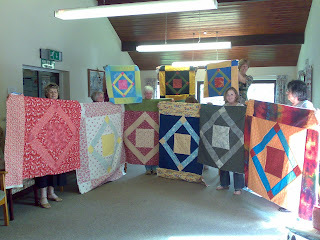 Even the ones who were worried at the start have gone home with most or all of a quilt. 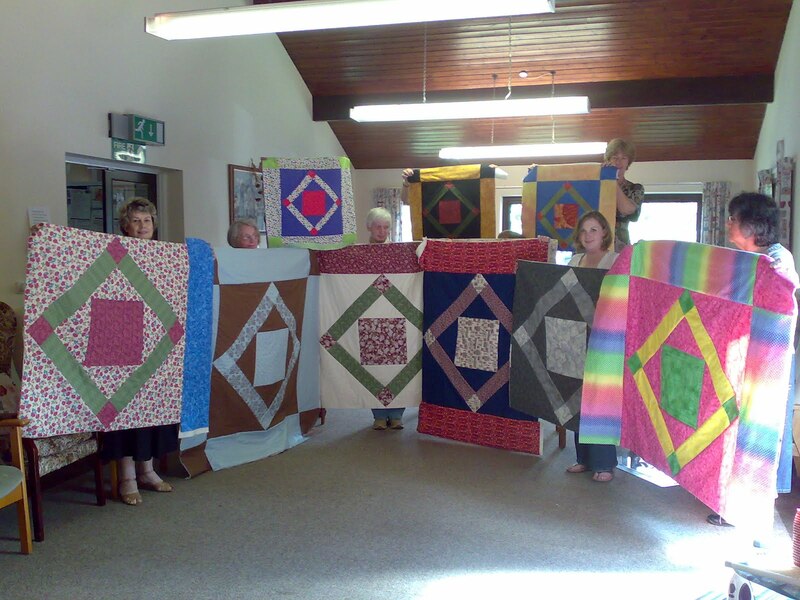 I love these quilts, they are fun and very useful. When you don't have to invest time or stress you don't have to worry so much about the finished item. 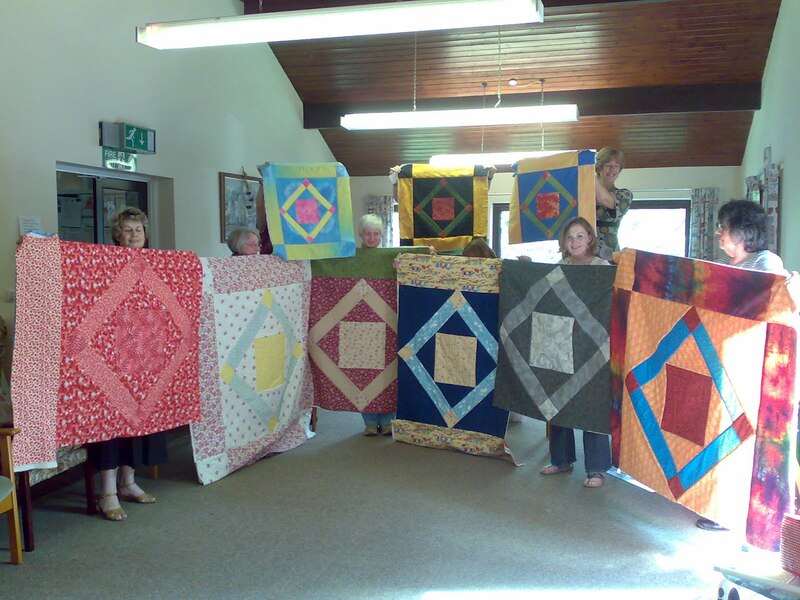 I hope these quilts will give years of great service. You will notice a few small quilts. These are scaled down versions of the original, as worked out by the students themselves. Interestingly they take almost as long as the full size ones. 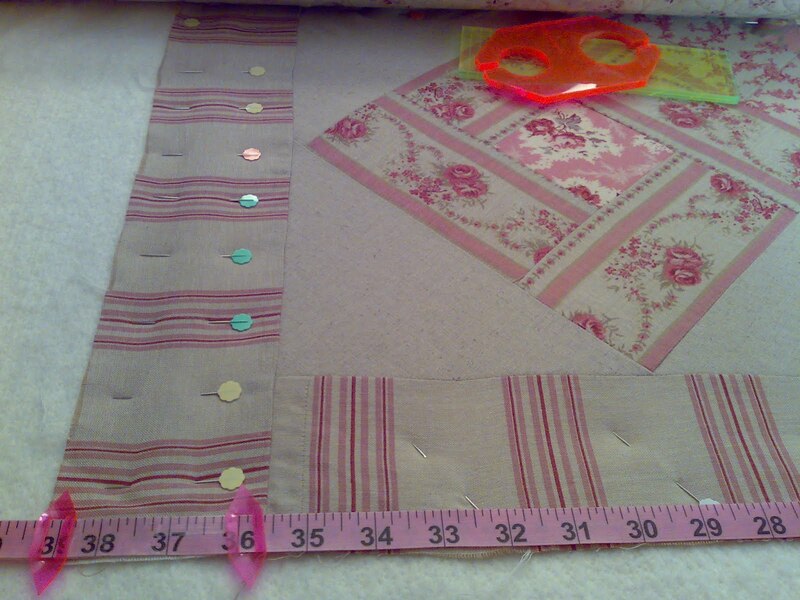 I suppose that is because they have the same number of pieces, so although the sewing time per seam is reduced the thinking and pressing time isn't much. They do make very cute bably quilts and at least are enough to understand the technique. On the way home I realised the could be made as seasonal wall hangings. 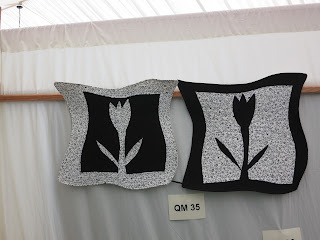 Two seasons per quilt as they are reversible. Having got home I've done some more on the new quilt but you will have to wait for tomorrow for pictures of that. Any guesses what I've got obn the frame now? I think some of my students will be able to give it a pretty good go. I will tell you I need this done pretty soon. I am really looking forward to getting back to it, I'm having fun. Right now though I need to prepare for todays class. I'm teaching Speed 4 to Priory quilters. I hope they come, it's the first nice day we've had and this looks like gardening territory. On the subject of teaching, I am thinking of more long classes I can run as 3-5 day retreats. It seems this format is really popular right now. What would you like to work on in a retreat? Would you want to learn a lot of techniques, like a sampler or would you rather work on a project with one or two techniques? Do you want to go home with a finished item or would you enjoy carrying on your holiday when you get home? 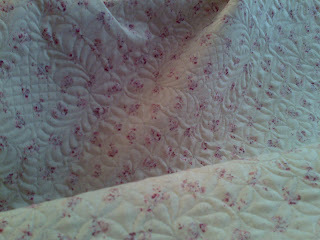 The quilt I blogged about last week went home today. It took a late night and an early morning but I think it was well worth it. Getting the borders straight took a lot of pinning as the outer triangles are bias edges and the border is a loose weave. 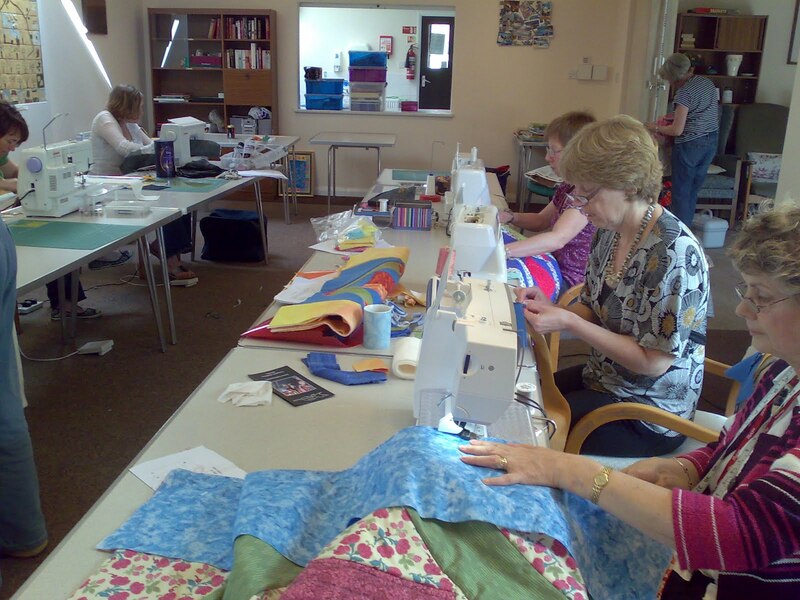 Any quilt where the blocks are on point will need a bit of extra care to keep straight and square, the loose weave fabrics are just an added bonus. Fortunately the piecing was good so it did come together. 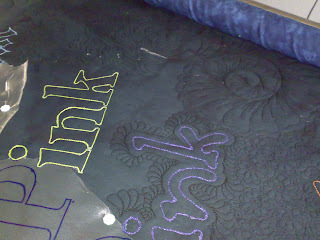 I knew this quilt was going to be shown, and that also adds a level of stress when quilting. It does give me a chance to have my quilting seen, whcih is great, and I do like to make sure it's interesting. Had I just been quilting this as a pattern sample (which it is) I would probably use a quick all overpattern or maybe some repeated feathers in the blocks. However for a show quilt I have several patterns on the quilt. 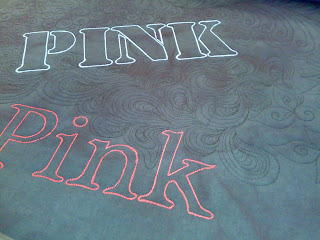 The designs needed rulers and a stencil to produce as well as masking tape to devide up the areas, so these would be custom quilting. 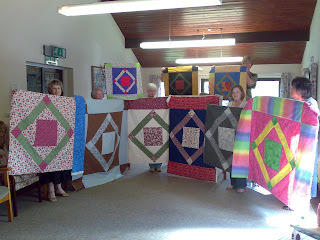 As well as making the quilt look good now I was thinking how the quilt will look in the future. 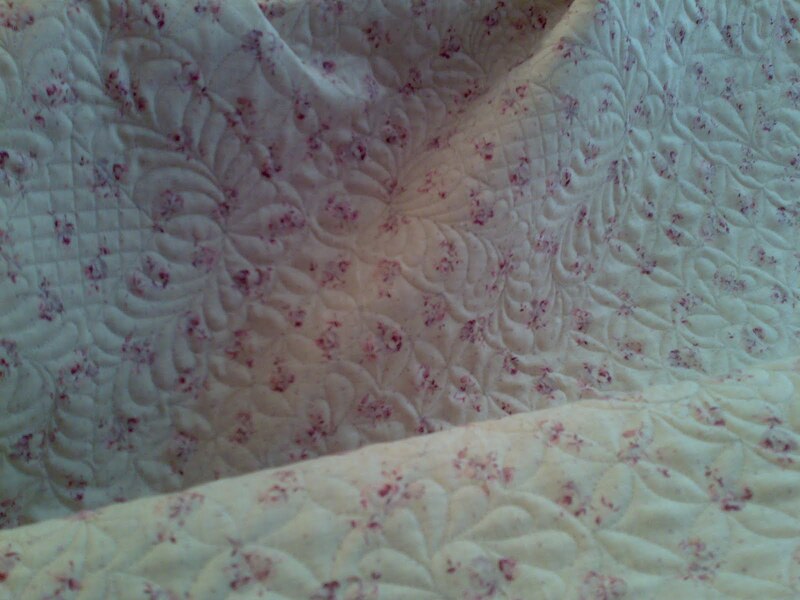 The fabrics and wadding are not pre-washed so they will shrink when the quilt is washed. Jenny ans I both like the antique effect this gives but with the loose fabric I wanted to be sure it would shrink nicely. 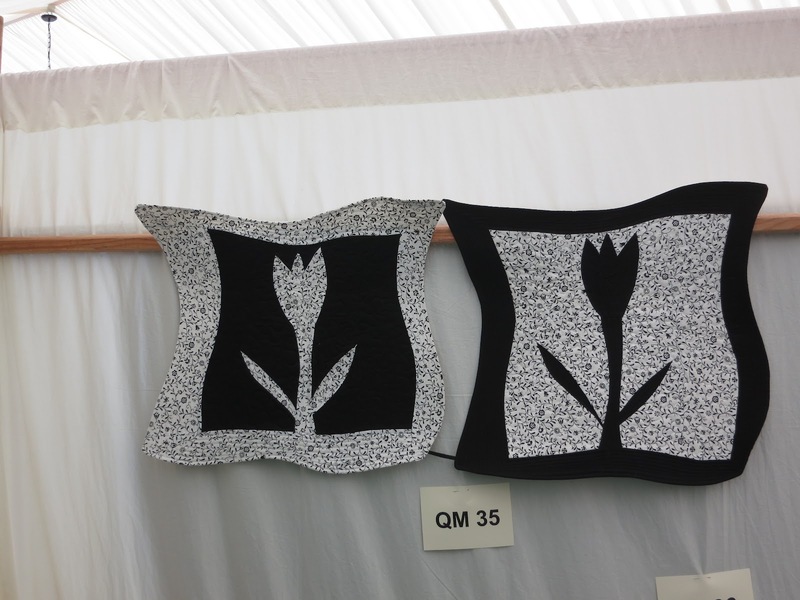 I also want the quilt design to be appropriate that antique look. That was a factor in choosing to do the cross hatching and ruler work. Of course it will be a while before I get to see how that pans out. Tuesday was my birthday, and I had fun. I went to the cinema, but not one with a tiny seat no leg room and some smelly person jabbing you with an elbow. No, we did some research and went to The Electric in Portabello Road. Big arm chairs separated by tables and each with a foot stool. That is the way to see a film. It wasn't even much more expensive than our local cramped one. The refreshments weren't up to much though so after the film I was really starving. 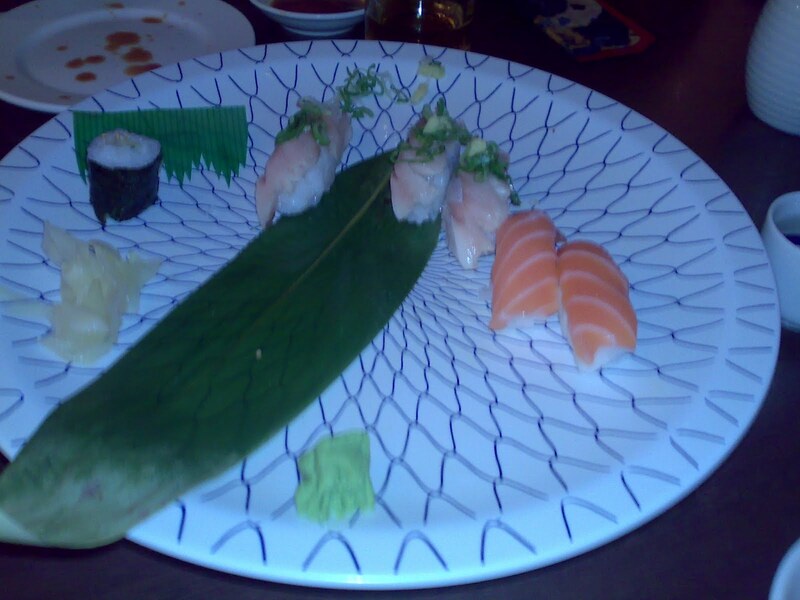 I had planned of posting a picture of the sushi we had but we kept eating it too fast, whups. It was really pretty honest. I did remeber to photograph me desert, ice cream mochi. 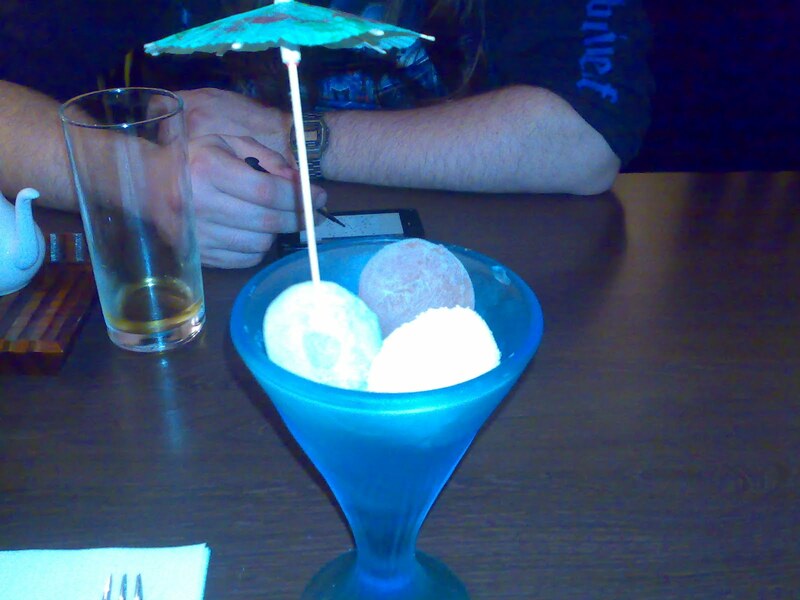 They now have several flavours and despite not being a fan of either chocolate or green tea ice cream, as mochi I love them. The cake was made by Lorna the cake lady. She is in my Wednesday afternoon class and makes great cakes. 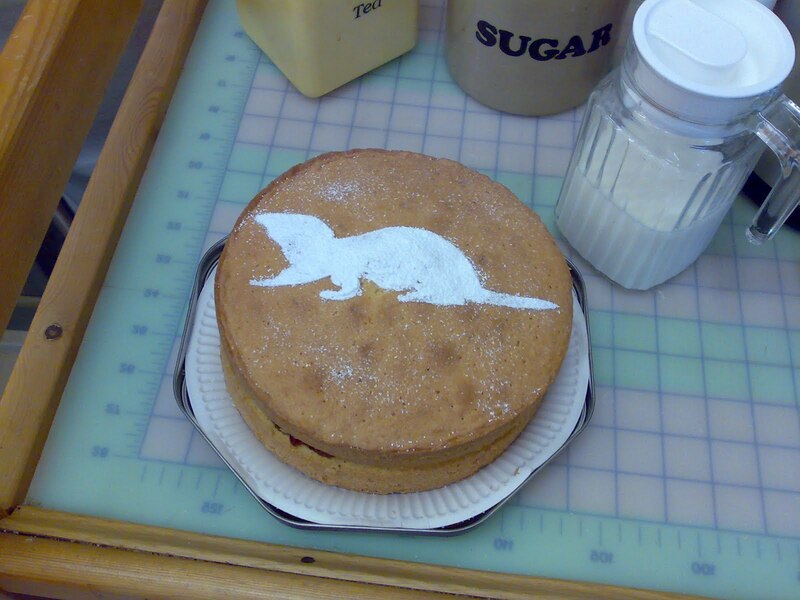 The Ferret logo went down well, but the coffee cake is even more impressive. I will try and get a picture tomorrow as we haven't finished eating it yet.